A topic came up for me just today with a client who wonders if she is burned out. I honestly think, if you're asking the question, you probably are – at least a little crispy around the edges. 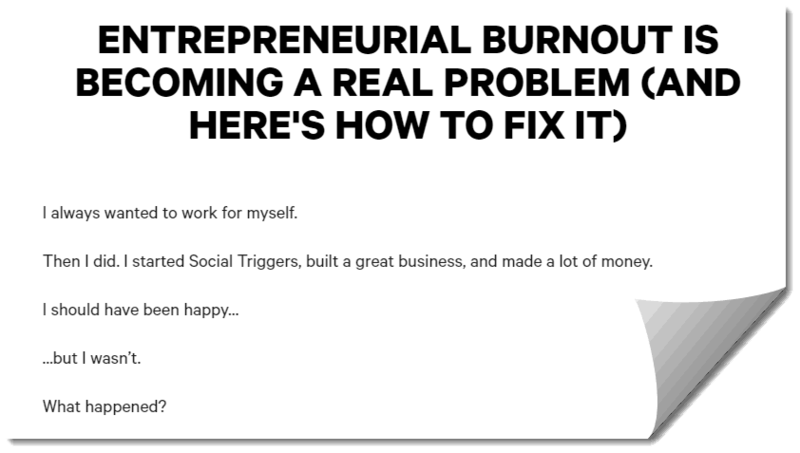 I was reminded of this blog post by Derek Halpern over at Social Triggers, he wrote about how to tell if you're burned out. He actually gives us a few questions to answer, nine to be exactly. Do you feel more anxious about your business than you used to? Do you feel overwhelmed and indecisive? Go read the whole post and find the other questions there. Derek gives thoughtful advice for each one – it's really meaty post, so go dig in and enjoy!